People have been offended by things related to President Donald Trump all the time, so it is no surprise that it has happened again. 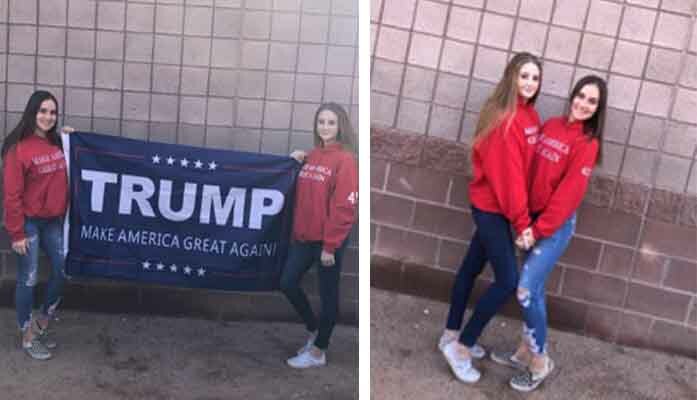 This time, however, legal action may be taking place as several students from Perry High School in Arizona are fighting for their rights to show their patriotism. A couple of days ago at the beginning of March, Perry High School had a spirit day, with the theme as “Party in the U.S.A.” Several students showed up in “Make America Great Again” shirts, hoodies, and hats. The students, sporting gear with President Trump’s campaign logo on it, also brought in a MAGA flag. During the day, the students were asked by school faculty to put the flag away as it was “distracting to the other students.” The faculty did not make them take off their hats and hoodies, however. After school, the students brought out their flag again, since there were no students learning and, therefore, no one to distract. The students began to take pictures with the flag as a group until the school staff told them to put away the flag again. The group asked faculty about why they were being made to put the flag away again, to which Principal Dan Serrano said that holding a flag and taking pictures is “not the correct use of a flag.” One of the students responded with a political speech explaining their rights and why what they were doing should be allowed. Because of this, police officers were called and the students were asked to leave the school grounds. The students were then asked personal questions by the officer, including their names and phone numbers. The students refused, saying that they were leaving the school grounds as they were asked and that the officer had no right to be asking them questions. 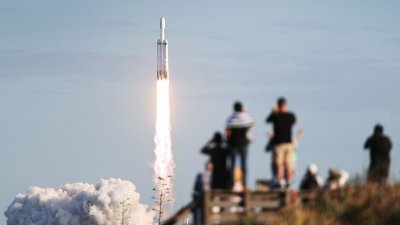 The students ended up in the administration office, where at least one of the students was given a 10-day suspension, a ridiculous length of time for a situation where nothing happened. Angered parents talked to the principal of the school, and while it seems like no apology will be issued, nor will Perry High School change its policy, the no-administrative action was ever taken against the students. Jennifer Farris, one of the students who was wearing the MAGA gear, is now considered as trespassed and will be “arrested on sight if she steps foot onto campus” according to Principal Serrano. Her parents were outraged and brought the controversy to the attention of local news stations. Principal Serrano was quick to backtrack and said that the students were participating in disruptive activities both at lunch and after school. However, due to the timing of the incidents among interviews from other students, the group could not and did not disrupt anyone on purpose. The story is still ongoing and it is unclear whether the parents and students will take legal action with Perry High School. The entire event brings up a very good point about the rights of free speech. While President Trump and his campaign apparel may offend some, it is still under the First Amendment and should be treated as such. Something being offensive is not a reason for panic if it is not hurting anyone, and this event proves it.